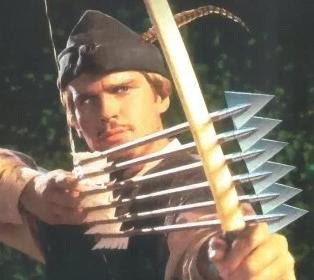 His performance in Lady Jane led Director Rob Reiner to cast him in another leading role, this time as the stable boy turned hero Westley in the American comedy The Princess Bride, which required Elwes to do all of his own swordfighting and acrobatics. Elwes' breakthrough performance in The Princess Bride gained international acclaim and was his first major attempt at comedy. Prior to this film, he had no comedic experience, having only studied and worked in drama. I was a little shocked when I saw him on the Red Carpet that he didn't look like my prince from the Princess Bride anymore. I guess 20 years can change a person. Then I read his IMDB and saw that he's actually been in a lot of movies since the Princess Bride and I just didn't realize it was him: Elwes continued to appear in such popular movies as Bram Stoker's Dracula, The Crush, The Jungle Book, Twister, Liar Liar, Cradle Will Rock, The Cat's Meow and "Kiss the Girls". He did not appear in another blockbuster until 2004 in the horror/thriller Saw. He became a first time father on April 24, 2007 which was about two weeks before I shot this photo at the premiere.